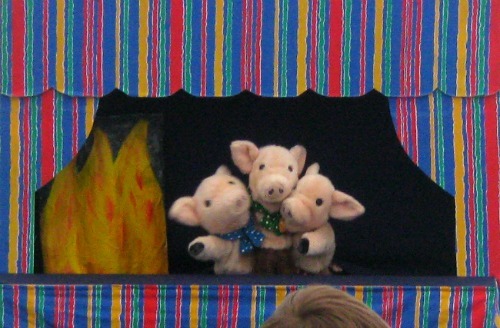 We have two shows on tour THE THREE LITTLE PIGS and MAGGIE. 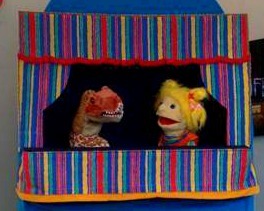 They are colourful, lively and fun, we encourage the audience to help us build the story. 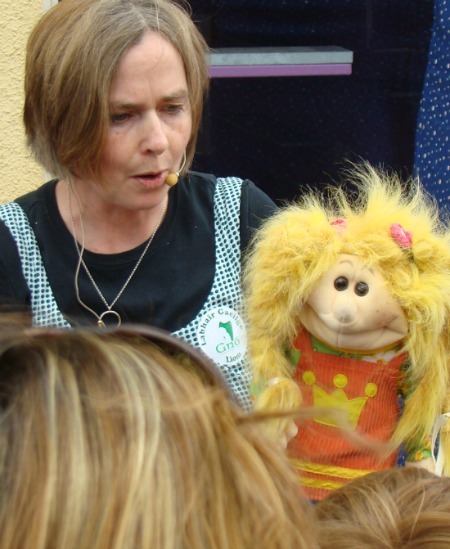 We can work bilingually and as Gaelige so you can put us on your calendar for any Irish speaking events. No audience is too big or small for these shows. From small party groups to large audiences at street events they work for everyone. 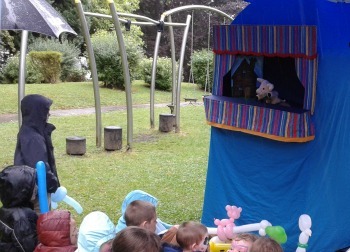 We perform from a portable muppet style booth so the show can be performed indoors and outdoors in a sheltered spot. To make the show happen all we need is an empty floor/ground space. To call us click here to email us click here. 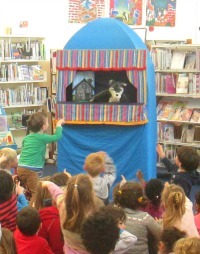 For your Book Month events we are expert storytellers. We can occupy every inch of your floor space with happy children. 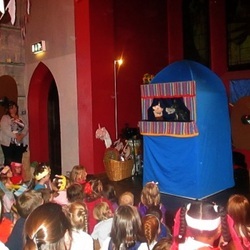 Previous clients include libraries in Mayo, Galway, Leitrim and Turlough House National Museum of Country Life. Tá seó na bpuipéad as Gaeilge agus bilingual againn. Bíonn an craic againn ag cleactadh Gaeilge leis an lucht féachanna. Clients include Gnó Mhaigheo, Croí Caisleán an Bharraigh, Gaelscoileanna. For an event that will add to a great day and a positive atmosphere. Our shows are sure to delight and entertain. We are very reliable and our puppets love to get the chance to meet new people.